With freshly composed music, narration and video, up-and-coming composer Ruth Chan and director David Tse recreated, with a contemporary touch, the life behind the silver screen of Anna May Wong in Piccadilly Revisited. A century of dream through light and shadow (i.e. film), time seemed to have “blossomed” right on stage like the eternal flower of the orient. 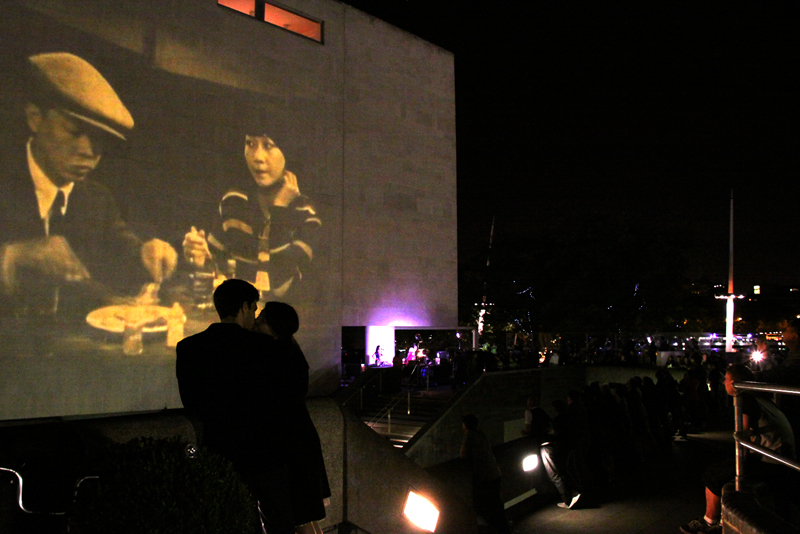 With silent film, music and theatre, Piccadilly Revisited attempts to blend elements of modern theatre such as live vocals and narration with Anna May Wong’s most well-known film work Piccadilly, creating a most delicate alchemical effect weaving the past and the present. This year’s Hong Kong Arts Festival presented the “New Stage” series, featuring a production which brought the 1929 English silent film classic Piccadilly on stage with live music. The performing quality (texture) of Piccadilly Revisited was delightful – not only was the film enlivened by fresh editing, there was also an air of contemporary sensibility under the director’s artistic touch.